UpFront with NGS: In Need of Professional Research Assistance? Here's Some Good Advice! In Need of Professional Research Assistance? Here's Some Good Advice! Sometimes we just can’t do all of our genealogy research and that’s when it can be time to call in a professional. 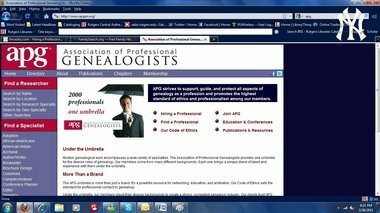 Daniel Klein, for The Jersey Journal, has written a great article “On hiring a professional researcher to do your genealogy."